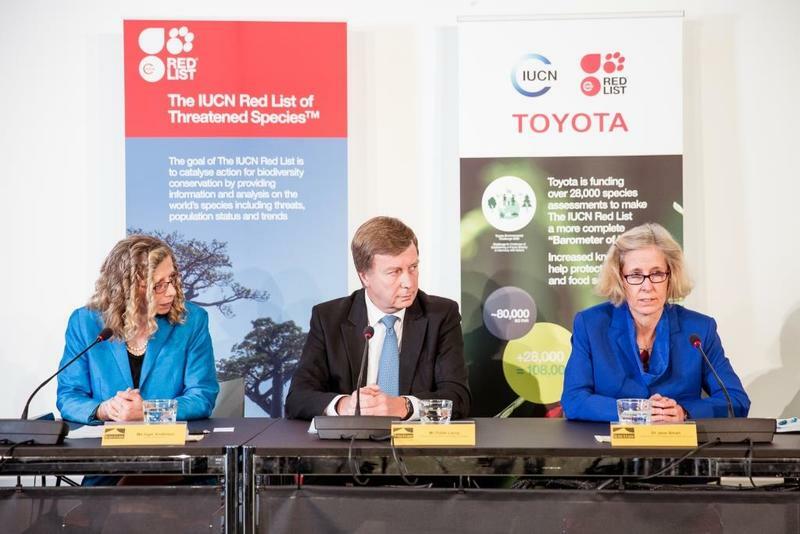 In 2016, International Union for Conservation of Nature (IUCN) and Toyota Motor Corporation (Toyota) announced a five-year partnership to expand knowledge of threats to global biodiversity through broadening the scope of The IUCN Red List of Threatened Species™. This will significantly increase knowledge on the extinction risk of more than 28,000 species, including many that are key food sources for a significant portion of the global population. Crucially, the partnership with Toyota will deliver new IUCN Red List assessments of species distributed across the globe, from freshwater to marine, forest to grassland, and many other habitats. It is not constrained by national boundaries and is filling crucial gaps in The IUCN Red List data for a range of species, including mushrooms, spiders, lizards, sardines and trees. Toyota’s support for The IUCN Red List is the first species conservation project to be implemented under the Toyota Environmental Challenge 2050, which aims to reduce the negative impacts associated with automobiles to zero, whilst simultaneously making positive impacts on society. The IUCN Red List of Threatened Species™ is the world’s most comprehensive information source on the global conservation status of wild species and their links to livelihoods. The goal of The IUCN Red List is to catalyse action for biodiversity conservation by providing information and analysis on the world’s species, including threats, population status and trends. Many species on The IUCN Red List have been saved from extinction through conservation actions based on the information in The IUCN Red List and the global to national awareness that a threatened Red List status generates for a species. There are three main components to the partnership. 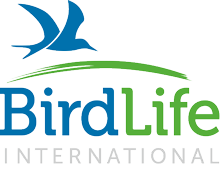 Firstly, it supports IUCN’s global target of publishing 160,000 species on The IUCN Red List. This target is known as ‘Barometer of Life’ and is a representative sample of life on Earth, allowing IUCN to communicate on the state of the world’s nature. The partnership is delivering approximately half of the 70,000 species that need to be assessed to reach The Barometer of Life by 2020. Achieving this target will help IUCNs work in supporting the implementation of the Sustainable Development Goals adopted in 2015 by all the members of the United Nations, particularly the Zero Hunger goal. It will provide greater knowledge and support at the national level to enhance species conservation action, thereby contributing to the achievement of not only Aichi Target 12 on preventing extinctions but also Aichi Target 1, on raising awareness from now, until the end of the decade and also post-2020. It is also a vital component of the Toyota Environmental Challenge 2050 that addresses biodiversity, climate change, and resource and water recycling. The partnership will also deliver a new web-based platform that will enhance the use and take-up of The IUCN Red List for a modern user community. The new platform was launched in beta version in September 2018 and became fully operational in November 2018. The increased use and improved functionality that is expected from the new platform will increase the understanding of the information on The IUCN Red List by a range of users, in turn leading to an increase in uptake, application and influence. 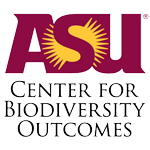 This will help deliver an additional goal of the partnership which is to foster a greater understanding of biodiversity conservation through The IUCN Red List. The private sector has a key role to play in supporting IUCN, and others, to reverse the decline in biodiversity. This partnership demonstrates the important leadership role that Toyota is playing in this regard. The IUCN – Toyota Partnership is driven by the Toyota Environmental Challenge 2050, which aims to reduce the negative impacts associated with automobiles to zero, whilst simultaneously making positive impacts on society. Through Challenge 6 of its Environmental Challenge, Toyota is taking a leadership role for both avoiding habitat destruction and putting the conservation and restoration of biodiversity at the centre of its plans. 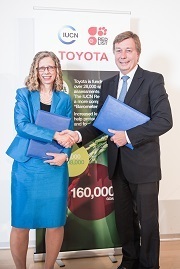 By entering this Partnership under Challenge 6, Toyota and IUCN are very proud to take an additional step toward the challenge of establishing a future society in harmony with nature. For more information, see the website.